In these modern times of serious competetion , amongst different nations , especially in the area of man power , many would argue that government funding should be more towards improving the standard of education than sports , while some others would argue against it. Modernising the educational facilities by improving the standard of university would help in decreasing the drop outs . Improving the quality of education , by recruiting more qualified teachers , results in maintaining the interest of the students. All these will help in shaping the future of citizens of tomorrow. On the otherhand , as the saying goes all work and no play, makes Jack a dull boy. There should be a balance of sprorting activities in their curricullum, as well. On the other hand sports and other recreation activities help in maintaining physical fitness and can be taken up as career , in itself. Especially with finacial benefits and the recognition one gets , in winning the tournaments. Sports like tennis , cricket , football , should be encouraged by improving the standards of the sporting facilities available.This in turn will encourage more children to take up a particular sport as a career . But basic education should be made compulsory , since they would have something to fall back to, provided they do not succeed in the sport they have taken up. In conclusion, I feel that government should do more towards funding the sporting facilities and by providing incentives to those are talented since sports , can be choosen as a career . You have a good introduction that is simple but addresses the topic and task - though I’m not sure what you mean when you refer to ‘man power’. “On the otherhand , as the saying goes all work and no play, makes Jack a dull boy. There should be a balance of sprorting activities in their curricullum, as well. 1) You have put ‘on the other hand’ twice, so this is affecting your ‘cohesion’ and ‘coherency’. You are going off topic because the question is not about whether education should be ‘compulsory’ or not. Always make sure your supporting ideas are addressing the question asked. And remember its not just about universities as you say in your first paragraph (schools as well). 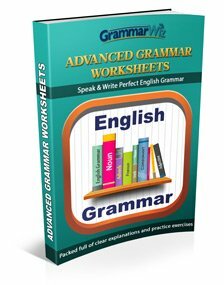 This accounts for around 30 words, which means your essay is becoming weaker in its support because you are not using your available words to build your arguments. 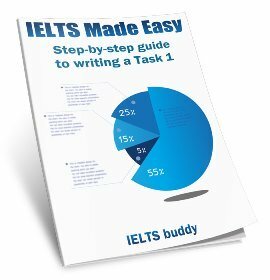 You need to make sure your first paragraph has a topic sentence to show how you are answering the question as well, or it may look like you are just writing about how to improve schools etc rather than specifically why they are more important than spending money on other things such as sports. Transitions will also help to make your ideas easier to follow, as I have added. Also, you need to make your opinion is clearer – remember this question specifically asks should MORE be spent on education than on sports and recreation. At the end you say they should do more to fund sports, but you have not made it clear which one most should be spent on. You add too many commas too which I have taken out. To improve your work, practice brainstorming and making a plan before you start writing. Then you can check that your ideas fully answer the question, that you have good solid support, and that it is well organized. In these modern times of serious competition amongst different nations, especially in the area of man power, many would argue that government funding should be more towards improving the standard of education than sports, while some others would argue against it. There are several reasons why it is very important to spend a lot of money on education. Firstly, modernising the educational facilities by improving the standard of schools and universities would help in decreasing those dropping out . Also, improving the quality of education, by recruiting more qualified teachers, results in maintaining the interest of the students. All these will help in shaping the future of the citizens of tomorrow. On the other hand, there should be a balance of spending on sporting activities as well. Sports and other recreation activities help in maintaining physical fitness and can be taken up as career in itself, especially with the financial benefits and the recognition one gets in winning the tournaments. Sports like tennis, cricket and football should be encouraged by improving the standards of the sporting facilities available. This in turn will encourage more children to take up a particular sport as a career. But basic education should be made compulsory since they would have something to fall back to, provided they do not succeed in the sport they have taken up. In conclusion, I feel that government should do more towards funding the sporting facilities and by providing incentives to those who are talented since sports can be chosen as a career. 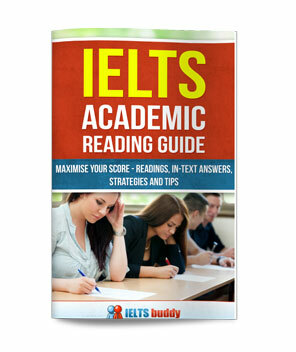 Comments for IELTS Sample Writing Task 2: Government Spending - Education or Sports? Education is necessary for enlightenment, for a more cultured society, for crime free environment and enabling people to earn a livelihood. The question as to what should government spend on; Education definitely takes precedence over sports, however an appropriate amount can be allocated for recreation of the masses. Sports do not create jobs for the masses, this skill set is only required in a very small number of people in the community. Spending huge amounts of public funds on sports does not sound feasible. Education and educational institutions play a vital role in building sound personalities of the citizens in any country. It produces in individuals the ability to support himself financially, and to support the less fortunate members of the society. Thus education is to be considered one of the building blocks and the foundation of any society in the world. Knowledge makes a person respectable and cultured and hones his behavior so that he embraces humanity. Education and knowledge is important so that the society could be provided with the required skill set to prosper economically. A country also benefits by exporting this skill set, the people serving abroad send precious foreign exchange to their countries thus supporting their country in its development. However there are many countries in the world which indulge in love of sports. Football is adored in many countries, and is played by the rich and poor alike, cricket is passionately played and followed in Asian countries, thus spending a small amount of funds on the recreation of the masses so that they can experience some respite from their daily grind and problems is appropriate. Sports also teaches people discipline and hard work. Spending on both is recommended but in proportion to their importance. Education is infinitely more important than sports to produce sound individuals in the society. Education is important for a secure future and to have a financially stabled life with status. But this doesn't mean we only look at education. Every child has some sort of talent that they want to showcase. Some kids are engaged and are talented in the filed of sports. This way sometimes kids get scholars through skills. 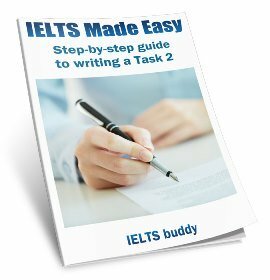 This is an excellent essay written by the IELTS student. Hello...I just had my exam today and I made 5 paragraphs in task 1. Can someone please tell me if it will affect my score or not? 5 is fine - introduction, 3 x body paragraphs, and conclusion.